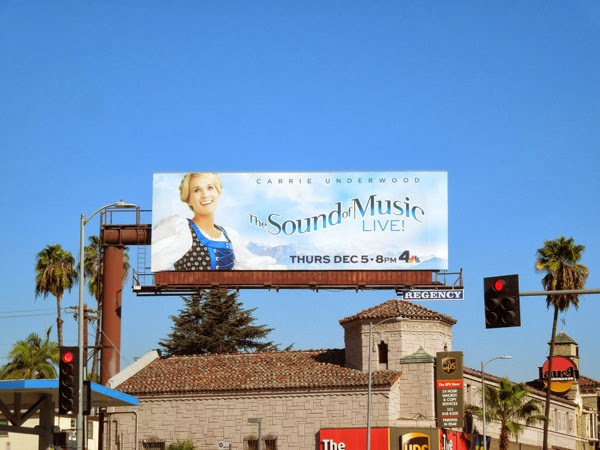 Just when you thought it was safe to turn on your TV screens, it looks like Hollywoodland is about to murder another cinematic treasure all for the sake of ratings. 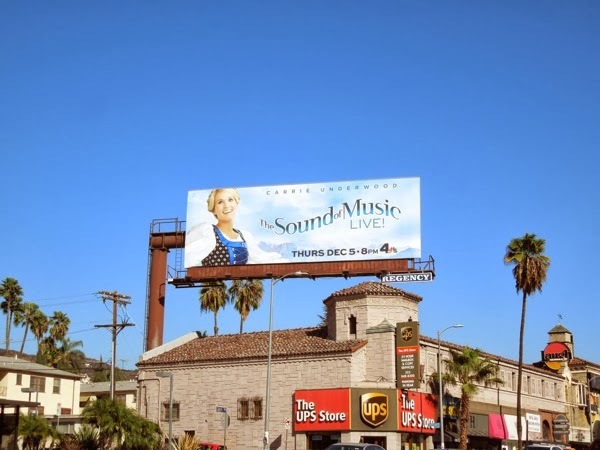 Yes, Daily Billboard may sound a tad skeptical, but The Sound of Music movie is a beloved musical gem and the thought of NBC producing a live version with Carrie Underwood in the role of 'Maria', made famous by Julie Andrews, fills us with dread. You'd have thought the network would have learned about revisiting past glories, especially when TV remakes like Ironside have so spectacularly failed this fall season. 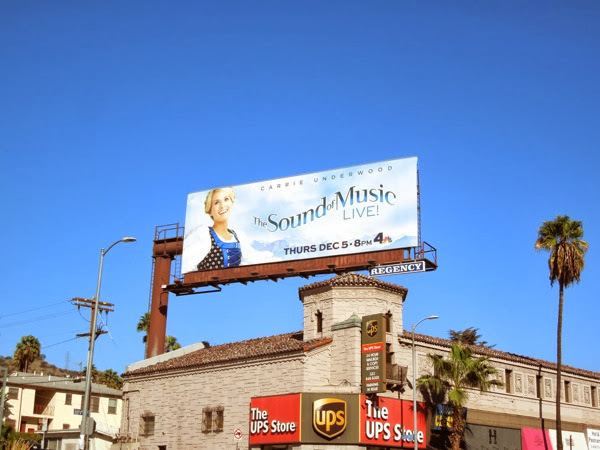 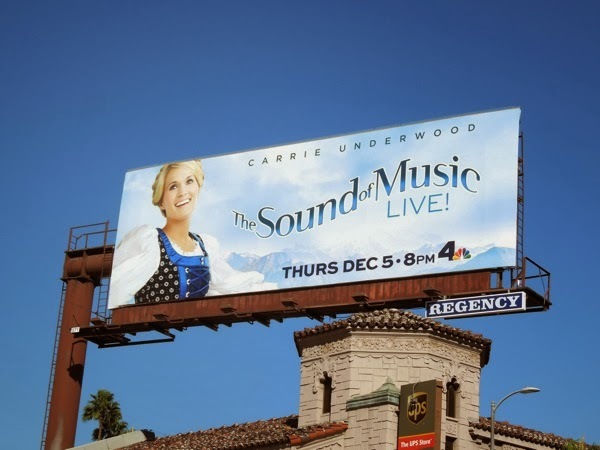 Carrie Underwood certainly looks the part of 'Fräulein Maria' atop the Austrian Alps in this billboard for the live event spied along Sunset Boulevard on November 5, 2013. 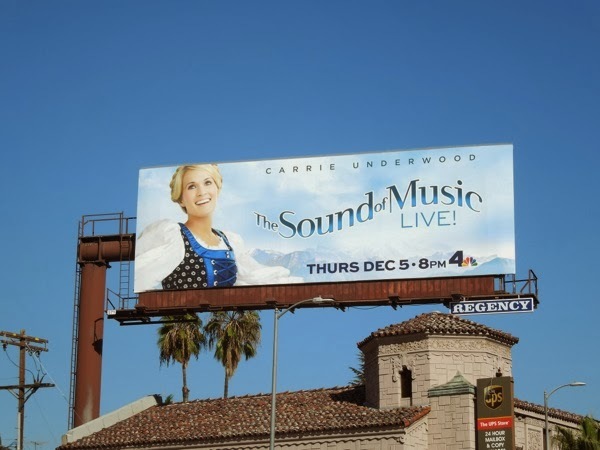 Let's just hope the country music singer can live up to the phenomenal legacy that came before her and make this a triumph and not a travesty - Live!